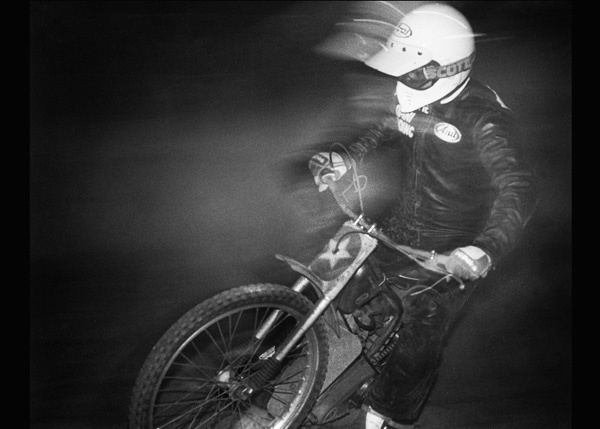 As a lifelong sports enthusiast, Dan Murphy the Photographer has excelled in creating unique sports action and other related photographs from just about every imaginable sport, from youth leagues to the professional level. 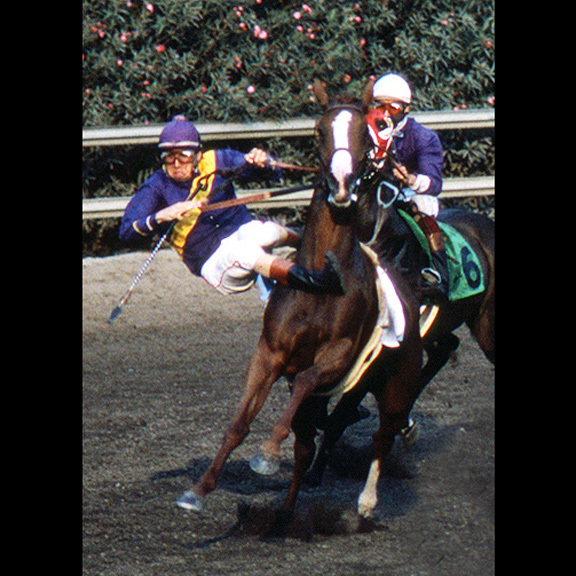 The thousands of stories behind Dan’s sports photographs are endless to say the least. Suffice to say however, covering sports over the decades have been very near and dear to Dan’s heart. Please scroll down or click on first image and view from there. Enjoy! 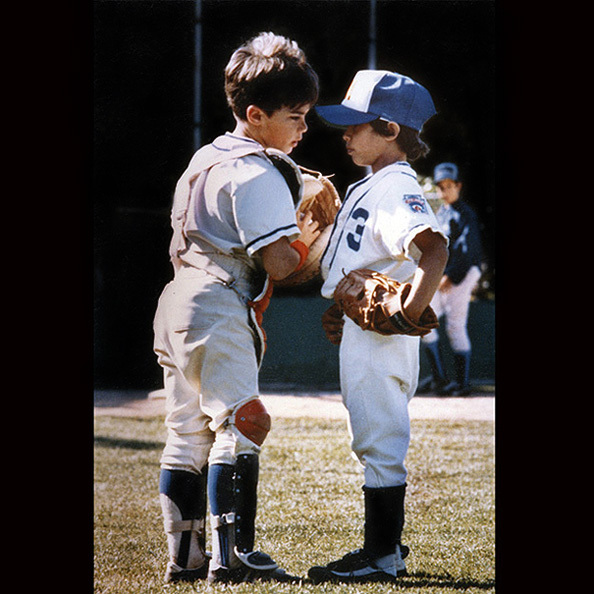 Two six-year-old Little Leaguers discuss strategy with each other. 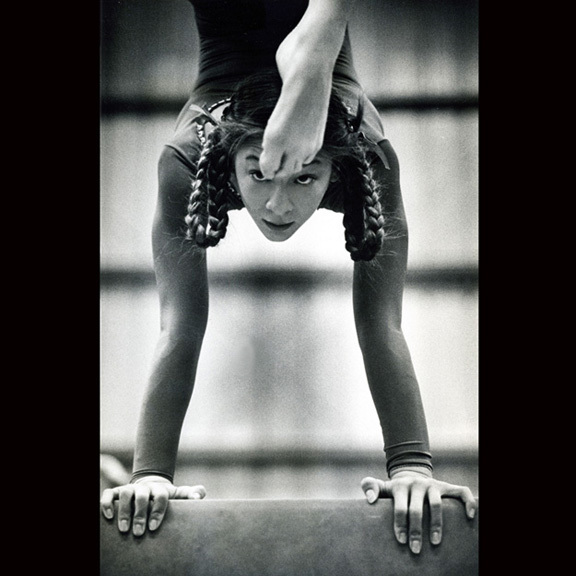 A young gymnast is focused while executing a routine on the balance beam. 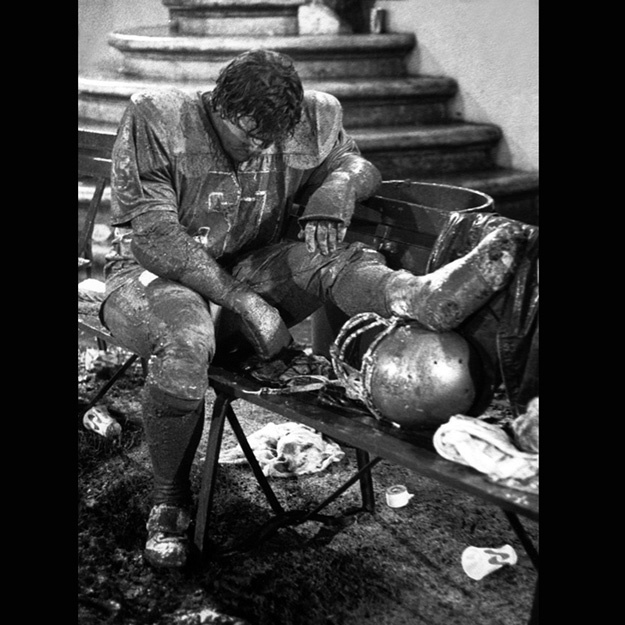 A dejected football player reflects on a cold, rainy night after a loss. 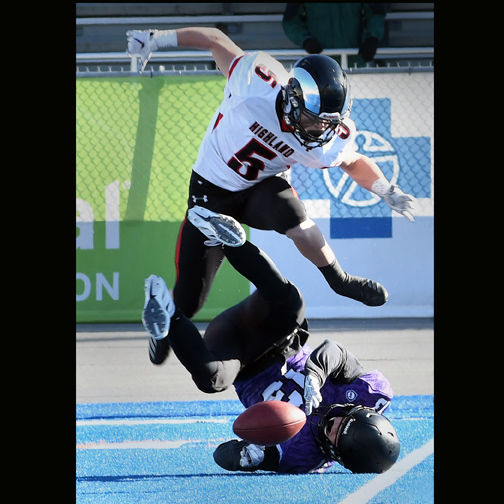 A Highland player gets tangled with a Rocky Mountain player, during their 5A Idaho State Championship game. 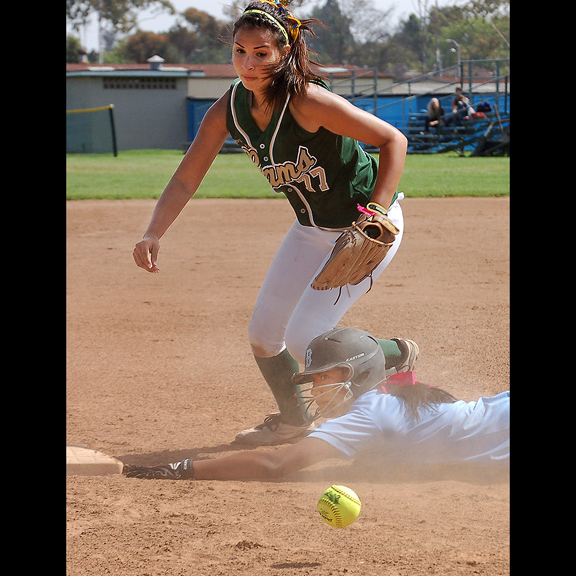 A third baseman lets the ball get away after a throw from the catcher. A para-athlete moves towards the first leg of the Phoenix, AZ IRONMAN competition. 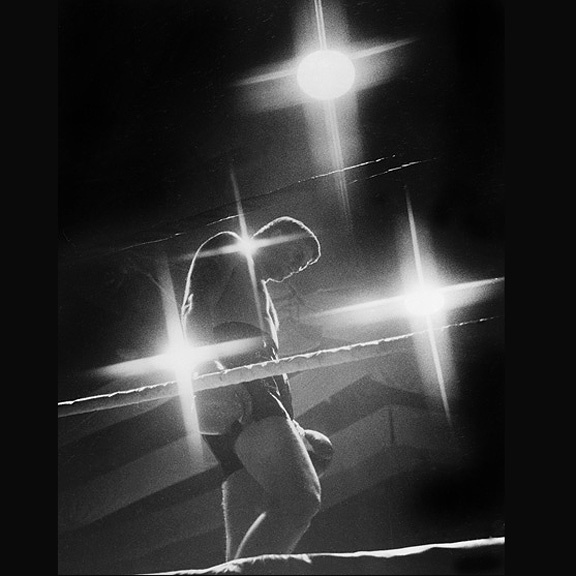 Boxer Johnny Hackleman walks around the “ring” at a Ventura County fairgrounds boxing event. 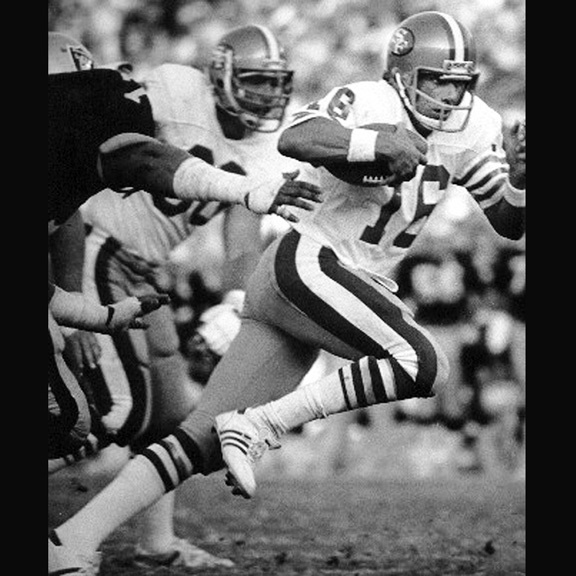 Joe Montana scampers around the left side of the line in a game against the L.A. Raiders. 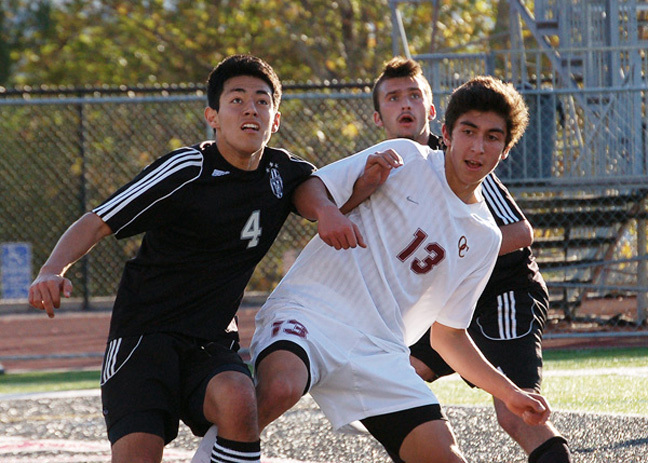 Two high school soccer players jockey for position during a corner kick. 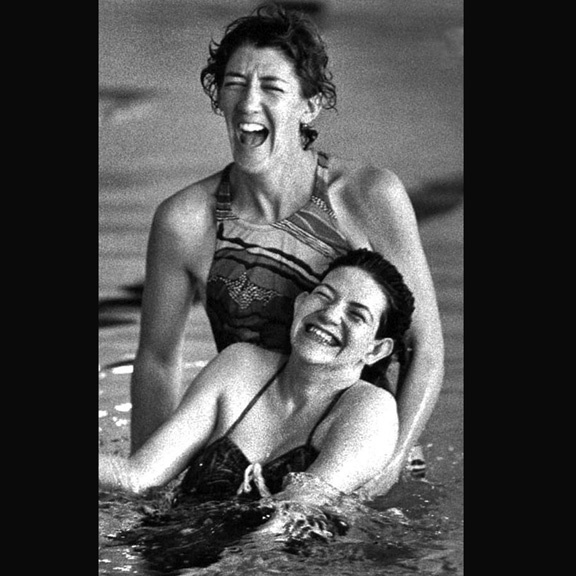 A young handicapped girl enjoys her therapy along with her coach at a community pool. 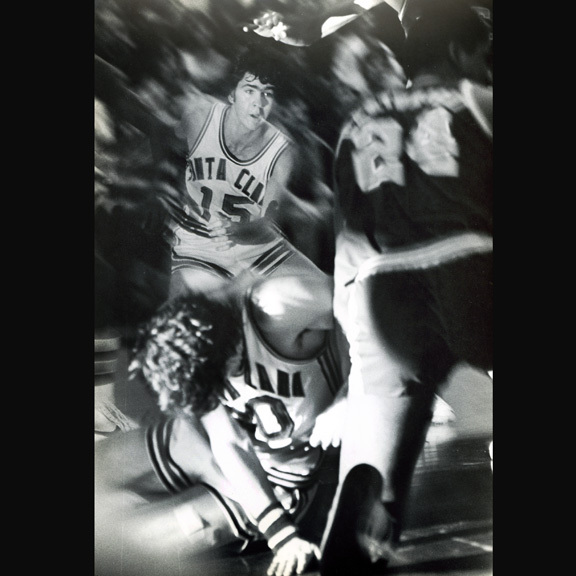 Santa Clara University basketball action, using a blurred and flash fill effect. 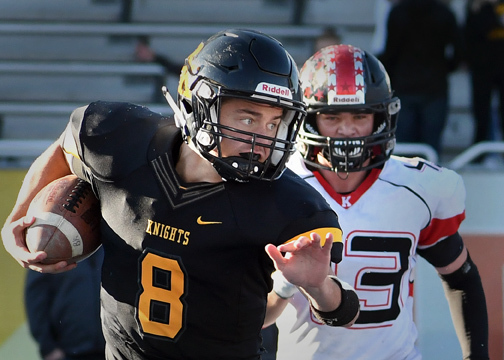 A Bishop Kelly High football player runs during their 4A Idaho State Championship game versus Hillcrest. 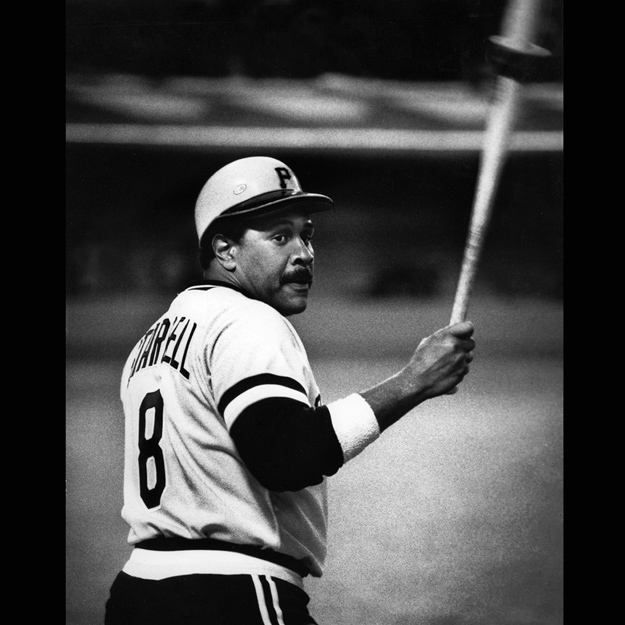 Willie “Pops” Stargell takes time to reflect while waiting on-deck versus the Dodgers. 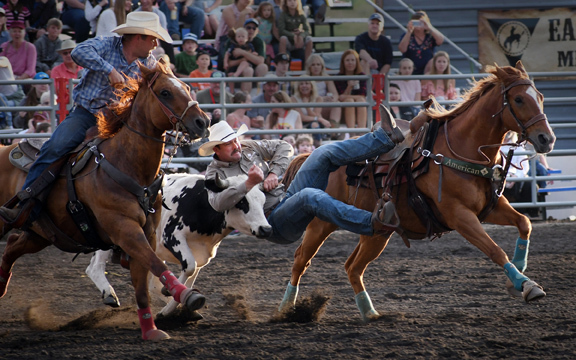 A cowboy wrestles a steer in exciting action at the Eagle rodeo. 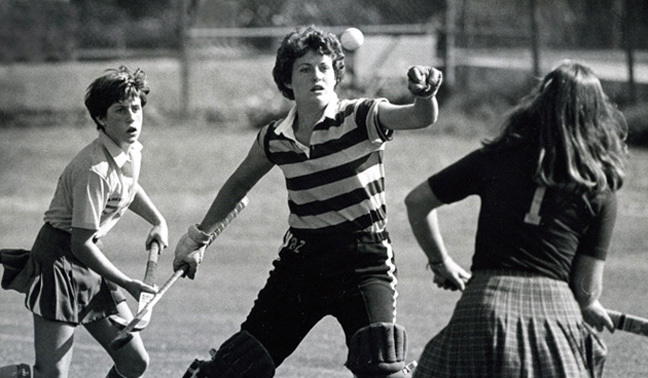 Collegiate field hockey action at San Jose State University. 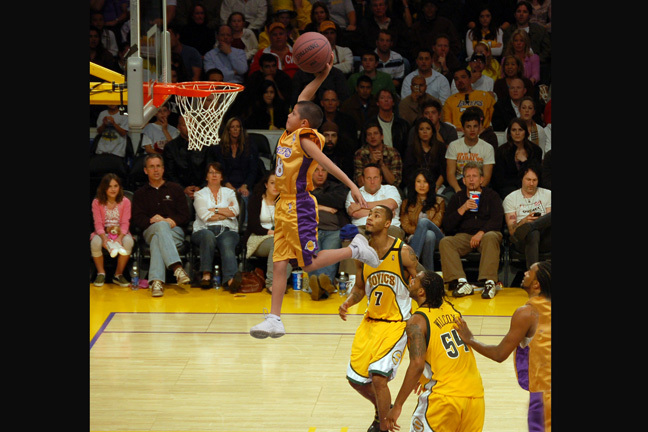 A young Laker slams dunk against the former Seattle Supersonics. The image was made by superimposing two images. Motocross action at the local county fairgrounds. Collegiate soccer action many years ago. Two L.A. 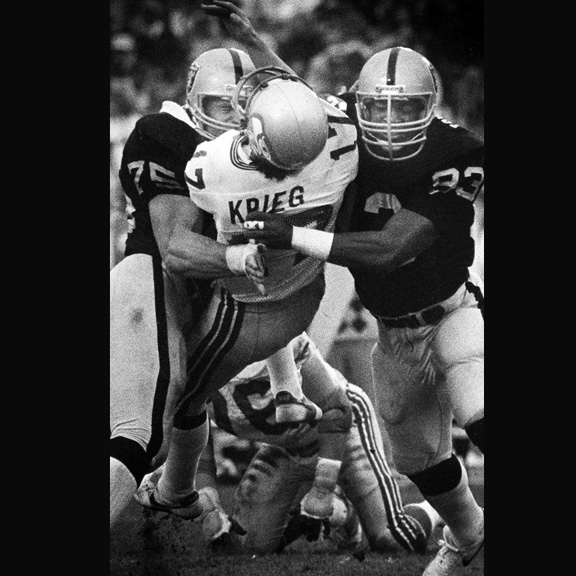 Raiders players take Seahawks QB Dave Krieg airborne in the AFC Championship game. This Junior Olympics wrestler pinned all seven of his opponents en-route to a gold medal. 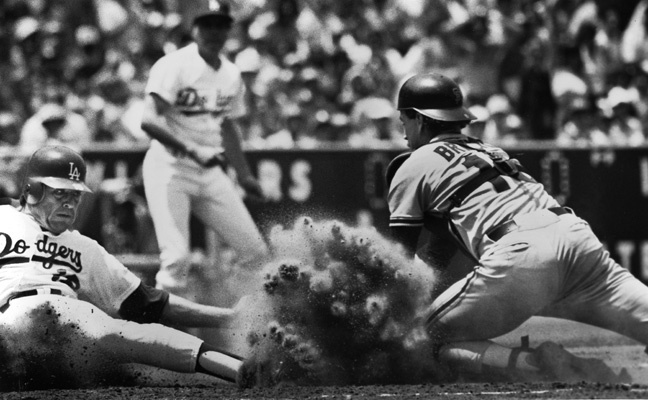 Dodger Rick Monday slides into home in a game with the S.F. Giants, many years ago. Every All About Faces Photography client will be provided a complimentary photography consultation before every assignment. This insures all details of the upcoming assignment are covered. Call Dan Murphy for your complimentary consultation. Serving thousands of satisfied clients since 1978!